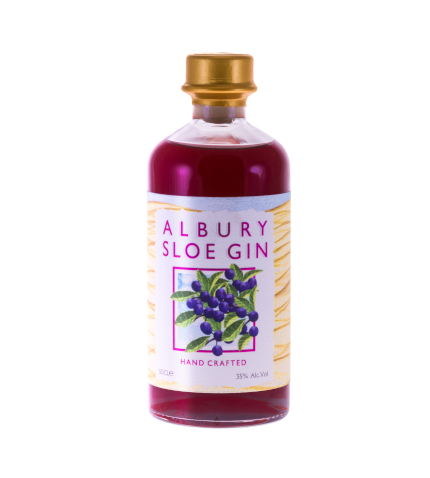 Our Albury Sloe Gin is a traditional recipe with a twist. With its slightly higher strength and the addition of a secret spice, it will warm the cockles from Autumn through till Spring. Using less sugar than some, our Sloe Gin expresses the perfect balance between sweetness and the classic tart finish from the fruit. Serving Suggestion: Enjoy over ice, either neat or with a squeeze of lemon or add a splash to your Champagne or simply sip from a hip flask on a Winter stroll.